This is the authentic, basic recipe for hummus. Instead of using dry garbanzo beans, soaking them and cooking them, I now use a can of garbanzo beans. I might post something later for using dry garbanzo beans but for now it’s a can!! Hummus has become very popular and recipes add all kinds of different things. But, if you walk down any street in Saudi Arabia, Syria or Jordan, this is the basic recipe used by traditional cooks. In blender or food processor put beans, 1/2 cup liquid, garlic, tahini, lemon juice and salt. Blend well. Make sure garlic and all ingredients are blended well. Pour onto plate and top with reserved beans and drizzle olive oil. In the Middle East hummus is eaten traditionally with Arabic bread. *You can make this hummus using your own taste requirements, so if you want more or less salt, lemon juice or garlic that is up to you. I love hummus. It tastes so much better making it than buying it pre made. Thank you for sharing. I love hummus. I have made it with dried beans too, using my pressure cooker, 40 minutes to pressure. Yes I used to use dry but not much any more. I do make falafal with dry beans. Do you like middle eastern food? I love middle eastern food. Is your falafel recipe posted on your blog? I want to try and make it, but if possible baked rather than fried. Falafel was always an “outside” food. I have never seen it homemade. But, it is perfect for my daughter Yaffa. Well I haven’t posted it yet. I am trying to get stuff up piece by piece. I don’t make it often it is difficult! But I will try to get it up soon! I love it and yes baked would be healthier for sure. I will be posting a Syrian dish on Thursday. Rice, chicken eggplant. Yum. Do you know other eggplant dishes? I’ve made this recipe previously and just dropped back in knowing I could easily locate it here and wanted to make it for the upcoming weekend. It was simple and worked out well. Thank you. thanks for stopping by! sure! Oh I’m so happy! 🙂 Do you live in America? where? I love America! I do, where do you live? Italy… but I love America is my dream! 🙂 I’ve been in Chicago and I loved it! Which is your city? I live in a small town in Idaho. Hey Lynn! 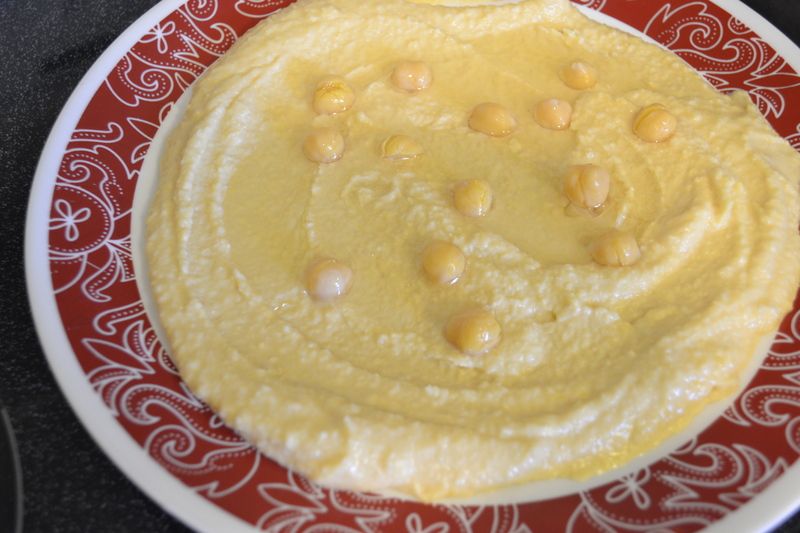 I swung by to check out hummus recipe since I’m craving it! I’m printing it out along with Antonia’s they both seem easy enough to make; especially using canned beans. Xxxx thanks dear! Have had a busy summer and have been fighting ocd and ptsd! I am hoping to start blogging again! Miss you and your gorgeous photos! !